Our company was established in the 1995, based on the development and production of diamond tools at the Research Institute of Utility Glass at Novy Bor. These days, we also developed and produce galvanic nickel bonding for a better efficiency with diamond grains. 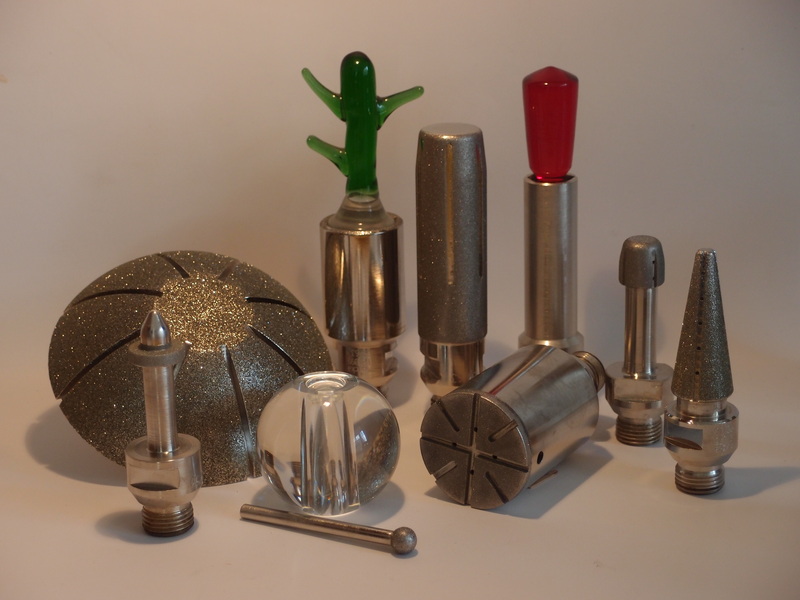 Our production consists a range of tools for grinding of cones (30%, 14%) incl. technical glass (10%) and rounding rims on the hole, tools for grinding small even flats and for the calibration of holes. We can modify your tool's dimensions and produce tools in any shape to your specifications. We are also in business of tools repairs and maintenance, incl. their calibration and regrinding. We are well established supplier of diamond tools to more than 90% of glass works in Czech Rep., Slovakia and a number of glass works within EU.